The board certified plastic surgeon, John G. Hunter, MD, FACS, is a top rated, best in class NYC labiaplasty plastic surgeon on Vitals, HealthGrades, MakeMeHeal, Google+, RateMDs, and other plastic surgery websites which rate specialists in his field. The NYC labiaplasty surgeon has also earned the award of Top Doctors New York® 18 years in a row and has additionally been honored as one of New York Magazine’s” Best Doctor in New York“, an honor awarded to very few practicing surgeons. The vaginal rejuvenation procedures offered at the Labiaplasty Center of NYC are usually performed under local anesthesia, with oral sedation. Occasionally the operation may require intravenous sedation. 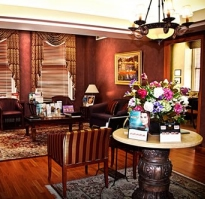 All procedures take place in the surgeon’s beautiful fully accredited NYC surgical suite in NYC – not a hospital. John G. Hunter MD, FACS has been rated one of the top labiaplasty doctors in NYC by New York Magazine;. He has been included in Castle Connolly’s Best Doctor guides for over 18 years. The labiaplasty specialist is the past president, New York Regional Society of Plastic Surgeons; past chairman, Section of Plastic Surgery, New York Academy of Medicine; Clinical Professor of Surgery (Plastic Surgery), Weill Medical College of Cornell University; Vice Chairman, Department of Surgery, New York Presbyterian- Brooklyn Methodist Hospital, Chief of Plastic Surgery, Attending Plastic Surgeon, New York-Presbyterian Hospital; Consulting Plastic Surgeon, Hospital for Special Surgery. If you have any questions in regards to labiaplasty (or other female genital surgeries we offer) and would like a complimentary consultation with the board certified NYC Plastic Surgeon, Dr. John Hunter, MD, FACS, please feel free to contact our NYC office for a complimentary consultation or request a consultation online using the eForm on the right. If you are an out of town patient interested in a complimentary consultation please refer to this link for more information: Out of Town Labiaplasty Surgery Patient Information. Cosmetic vaginal genital surgery is a private matter. All information is kept confidential.